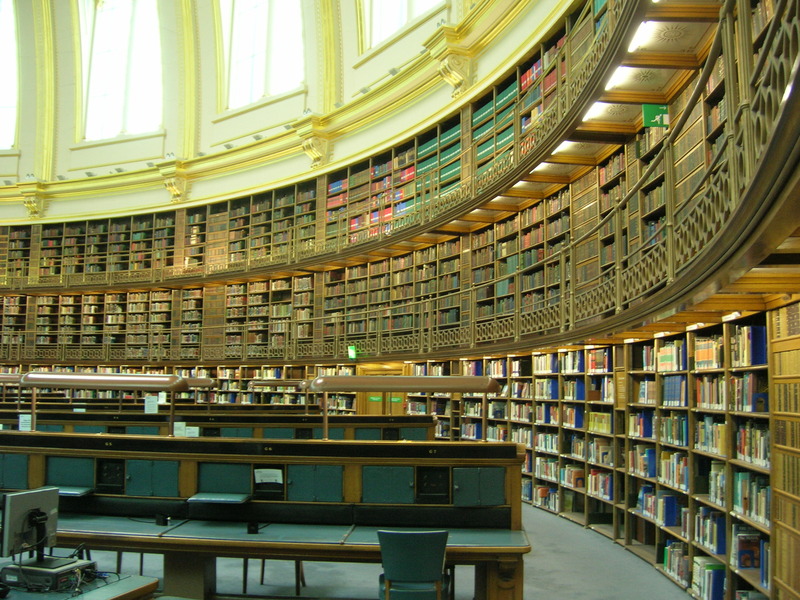 There’s a beautiful room in the British Museum that once upon a time contained the library of King George III. But, of course, owning a book is not the same thing as reading a book. King George III was no wiser for owning all of these texts. I think there’s some parallel to how we use information on the web today. Retweeting, “liking”, “pinning” or re-blogging about an idea do not necessarily indicate an understanding of an idea. For example: I just posted a list of seven ways to promote student engagement in our classrooms. I discovered the list on a blog entry on Edutopia.com. Edutopia sourced the list from a blog entry by Stacy Hurst on ReadingHorizons.com. Stacy Hurst references four texts in her blog. What I find interesting, is that each of the repostings deleted information. The original article explains the importance of student engagement and provides ideas on tracking it in the classroom. Edutopia omitted that aspect of the original post and highlighted the inclusion of an infographic listing of the tips. My reposting further edited the information down to just the list of tips — assuming that the value of these ideas was self-evident. I omitted the infographic that Edutopia highlighted (I think it’s an example of an infographic that doesn’t add value — I don’t learn or understand the content any better by viewing it in graphical form as opposed to the original list). A reader’s understanding of the list of tips could vary considerably depending on where he/she encountered them, and the reader’s interest in pursuing the ideas to their source. All media texts are the result of choices made by publishers. Challenge your students to find an article on the web that they’re interested in and map the trail of its sources and any other postings it spawned. Ask the students to consider how details included or omitted and how different readers could have different understandings of the topic depending on how determinedly they pursued the details of the story. The story of the depiction of the topic might make an interesting infographic or concept map. Use the 10:2 method. For every 10 minutes of instruction allow the students 2 minutes to process and respond to the instruction. This can be done in various ways by having them write what they have learned, questions they may have, or by discussing the content with a fellow student. Incorporate movement into your lessons. Require students to respond to a question by moving to a certain spot in the room, writing on whiteboards, or standing (or sitting) when they are done thinking about the question, etc. Pick up the pace. One misconception is that we must go slow for students to really understand and engage in a lesson. There is a lot of evidence that shows that when teaching is at a brisk instructional pace, students have more opportunities to engage, respond, and move on to the next concept (Carnine & Fink, 1978; Williams, 1993; Ernsbarger et al., 2001). Provide frequent and effective feedback. Allow students 5-7 seconds of ‘think time’ when asking a question. At the end of the time draw a random name to answer the question. At the end of a lesson have students use the 3-2-1 method of summarizing by having students record three things they learned, two interesting things, and one question they have about what was taught. Allow time to share their findings with a peer.